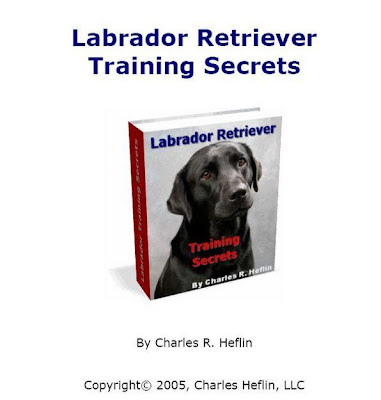 This is an updated post from a few years ago (links expired) for a free copy of Labrador Retriever Training Secrets by Charles R. Heflin. Its been around for some time but may still be very useful to many Labrador Retriever owners. For those of you that are members of Scribd, you can print or save the ebook by clicking on the download link (next to word Scribd above). You can also view the ebook full screen by clicking on the Fullscreen link. For all others, you can download Labrador Retriever Training Secrets in PDF format.